"Transforming Classroom Activities into Performance"
It is imperative that we produce advocacy materials similar to a video from Texas Music Educators Association that I viewed on their website. The site requested for the video to be shared so I have attached the link. If you have ideas and are interested in joining this effort, please contact me. I would like to see LMEA have an advocacy video to post on our website by this summer. As we get busy this spring, let’s remember to allot our time and spend our energy with enough of both remaining for family and self. It is all too easy to delve into the business of teaching and performing with little or nothing left for our own pursuits in life. Remember that . . .”achieving a dream is more than just what you accomplish. It’s about who you become in the process” (John C. Maxwell). As of 12/31/16, these nominations were received for the 2017 District Director Elections. As a result of there being only one nomination per District, the candidates were accepted into their positions by the LMEA Board of Directors during the January Board meeting. This slate of officers will begin serving their terms during the May 2017 Board of Directors meeting. We had an excellent attendance again this year – over four hundred teachers and collegiate participated in the workshops, watched outstanding directors rehearse our students, and listened to Louisiana’s talented young people perform. And it’s always great to see so many colleagues and friends from around the state at the conference – to hear about their lives, their families, and their programs. We received lots of positive feedback about the online registration and how easy it was! There are a few things we’ll plan to “tweak” for next year to hopefully make it even easier. Of course, you’ll continue to have the option to register online but pay by check. Regional/State Large Ensemble dates and locations have been established. Please remember the dates are subject to modification based on the number of entry forms submitted. The most up-to-date Regional/State Assessment information and entry forms can be obtained from the LMEA website. Just click on Regional/State Large Ensemble Assessment. 2. Print out the completed on-line form. CLASS E: Emergency designation used in the event of extenuating circumstances which may dramatically and severely affect a school’s ability to hold regular rehearsals, access instruments or equipment, or when a significant number of students are adversely affected or displaced due to natural disasters, loss of property due to fire, flooding, or other acts of God or man, or other extreme and unforeseen occurrences. A director who feels that unusual circumstances warrant an opportunity to enter a lower classification as described in this handbook may petition the appropriate Division Chair of the LMEA Board of Directors for consideration. Final approval will be determined by the Division Chair, District Director, and President. The Division Chair will notify the director immediately after the meeting if possible, but if the situation warrants further study, he/she shall be notified within (7) days. 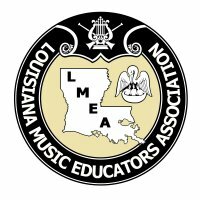 A group may be allowed to drop one classification in both LMEA List Requirement and Sightreading, and shall retain eligibility for qualification for State Assessment. Band directors may petition the Band Division Chairman for inclusion of a non-student pianist in circumstances when piano/keyboard is specifically written for and no qualified student pianist is available. This exception shall not apply to pieces where the piano is the featured/solo instrument (piano concerto, sonata, etc. ).